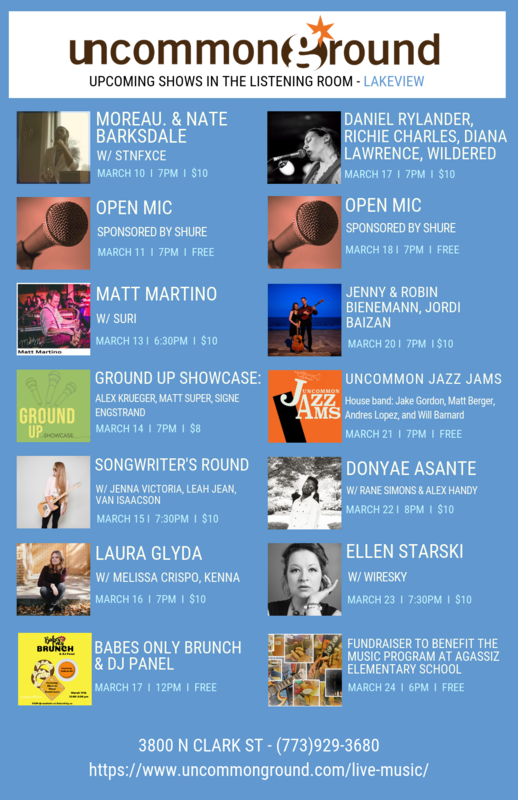 The femme music celebrations continue across Chicago and this one features some fierce womxn-fronted events at Uncommon Ground. Babes Only is an organization dedicated to inspiring and empowering women, as well as spreading awareness on important issues in hopes of helping make a change for the better. 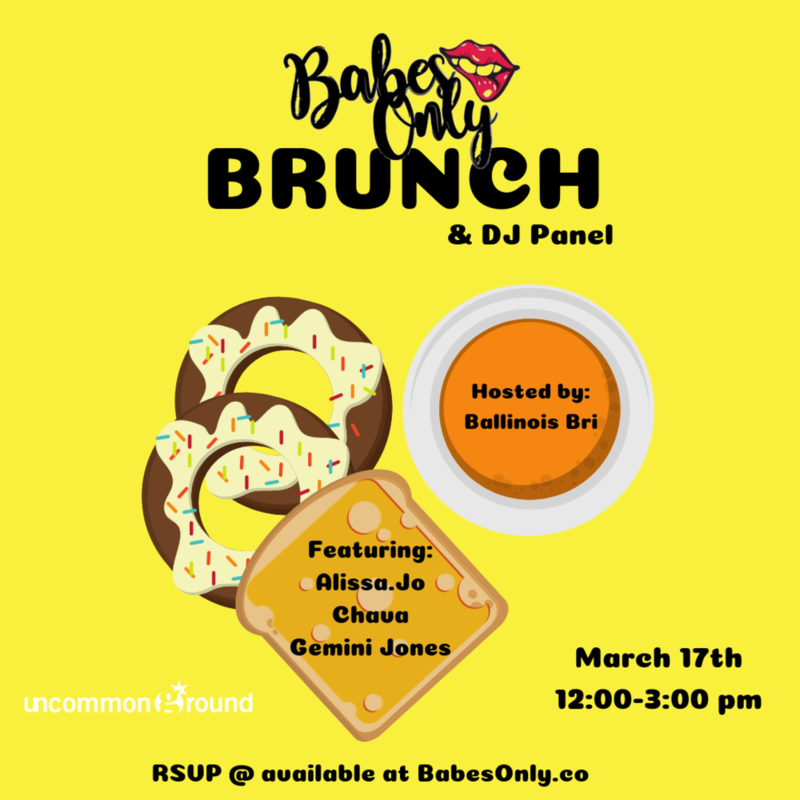 UG has partnered with Babes only to present a panel of female DJs Alissa.Jo, Chava, and Gemini Jones, hosted by Briana Smith. Singing and playing guitar from the early age of 5, Sandra Antongiorgi’s artistry transcends genre. Her unique sound derives from a marriage of her many cultural influences in Latin, Caribbean, Rumba, Jazz, Rock and Neo-Soul. Sandra was selected as Music Artist-in-Residence at MACLA (Movimiento De Arte y Cultura Latino Americana) in San Jose, California, headlining three consecutive concerts. In August of 2017, as part of the Truth and Racial Healing Concert Tour in Chicago, Antongiorgi opened for and sang alongside the gifted and accomplished Jazz/Blues/Soul/Gospel singer, Lizz Wright. In January of 2018, she headlined City Winery Chicago’s first ever female-fronted Latin music concert and also released hard copies of her self-titled Spanish EP. When listening to her soul stirring lyrics and powerful vocal delivery, Antongiorgi’s commitment to musical authenticity is undeniable. As a songwriter, vocalist, producer and musician, she creatively bridges the gap between the nostalgia of the past and the ingenuity of the present, drawing the listener in with her engaging melodic compositions.